Hello, dear artists! 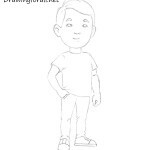 Welcome to drawingforall.net – online drawing school. Today we have prepared you a new drawing lesson, in which we will show you how to draw a builder for kids. We have divided this tutorial into several steps to make it as simple as possible. 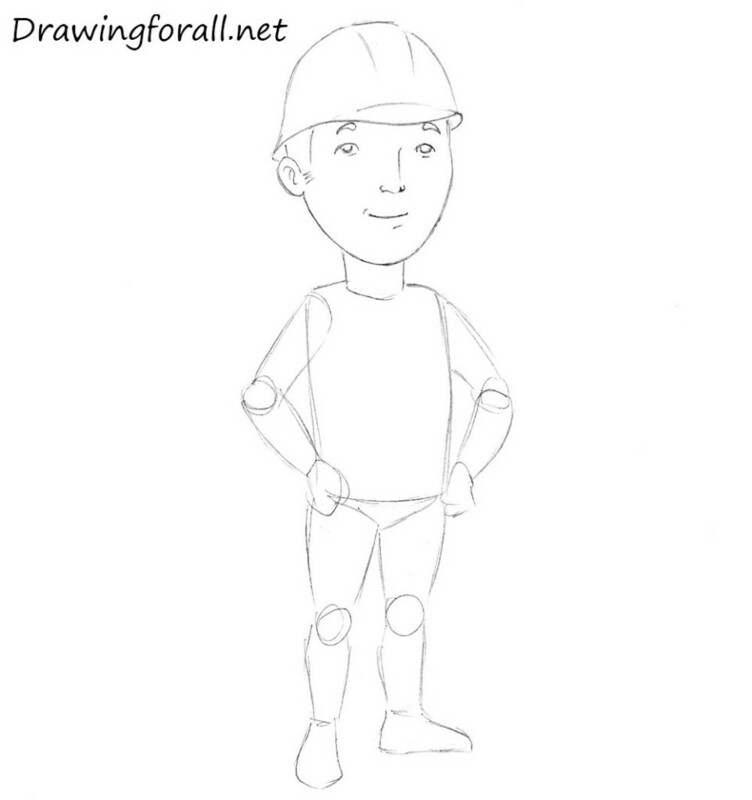 So, let’s start the tutorial and learn to draw a builder! 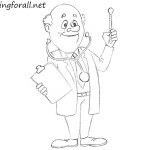 At first draw an oval as a guide for the head. 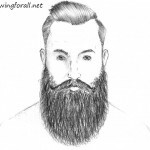 Draw the lines of facial symmetry. The vertical line will show you the center of the face and the horizontal line will help us to draw the eyes. Using a cylinder draw the neck. 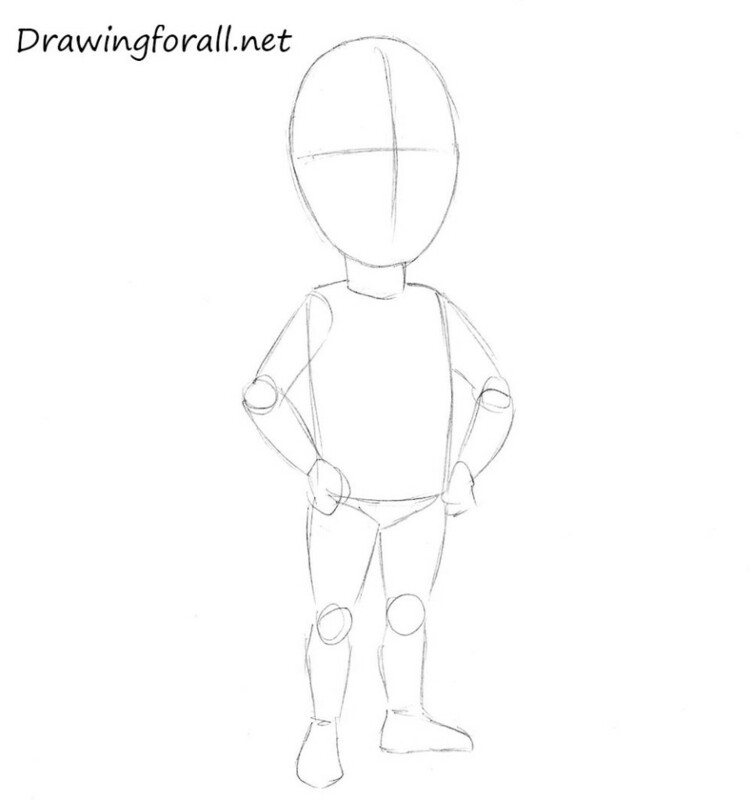 Using a rectangle draw the torso. 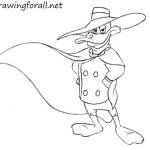 Nota, that at the first steps you should use light and smooth lines for drawing. Using elongated cylinders draw the hands and legs. 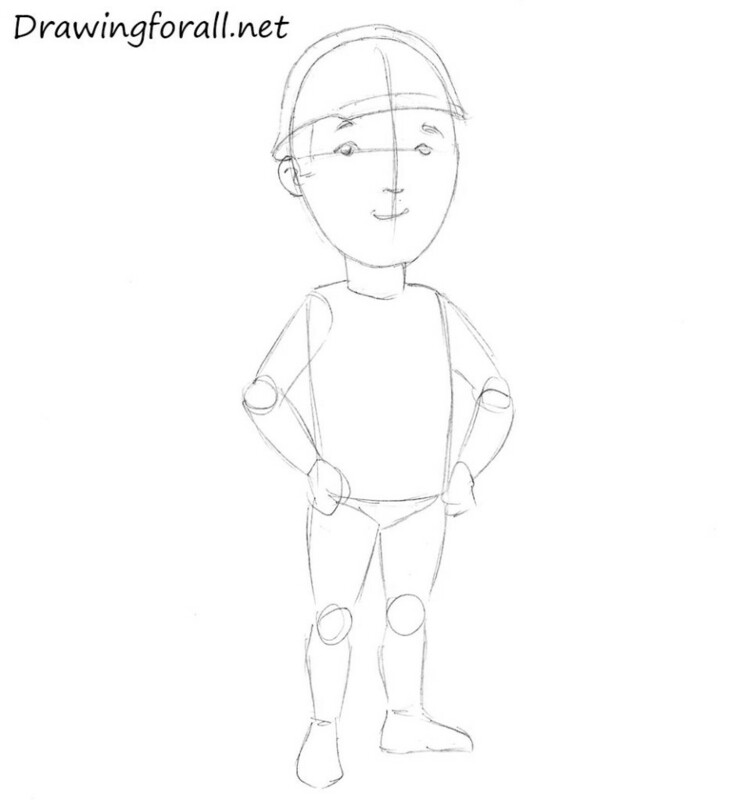 Using circles draw the elbows, fists and knees of the builder. Sketch out the helmet as in our example. 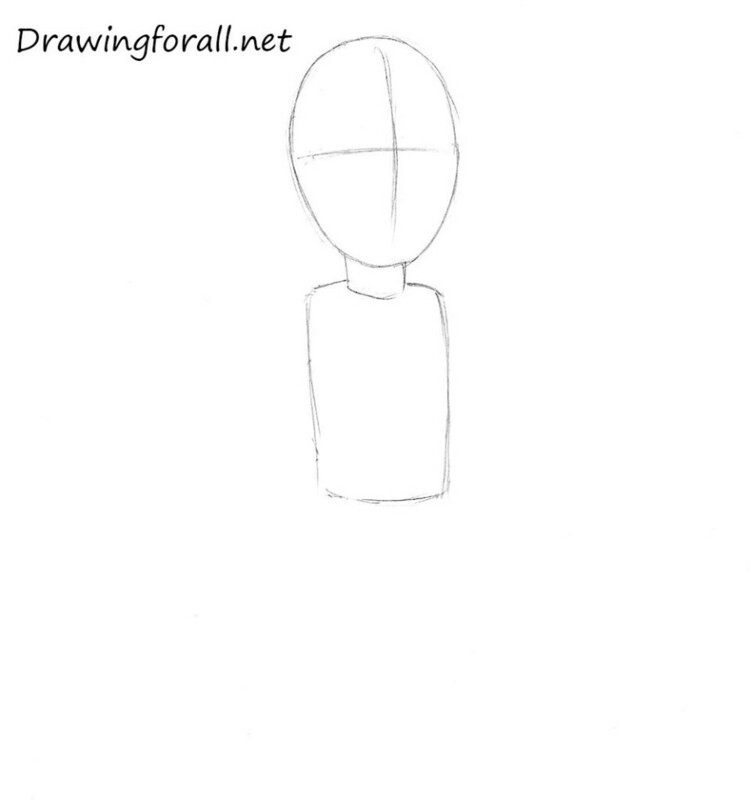 Using the horizontal line of the face draw the eyes. On the vertical line draw the nose. Draw the mouth between the nose and bottom line of the face. Erase the guidelines from the head. Darken and smoothen the lines. 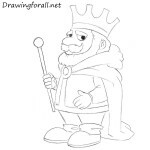 Draw the eyebrows above the eyes. At this step we will start adding some details. Sketch out the straps and pocket of the overalls. 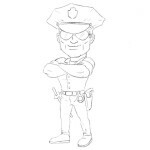 Draw the belt on the waist as in our example. Erase all the remaining guidelines and unnecessary guidelines. Darken and smoothen the lines of the drawing. Make them clean as in our example below. Draw tools on his belt. 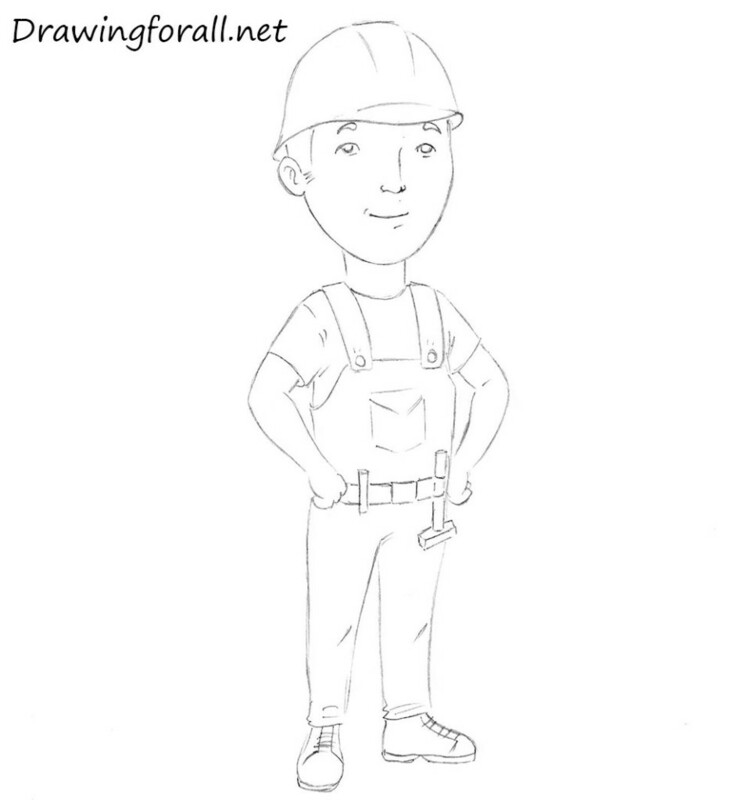 it was the drawing lesson about how to draw a builder for kids. 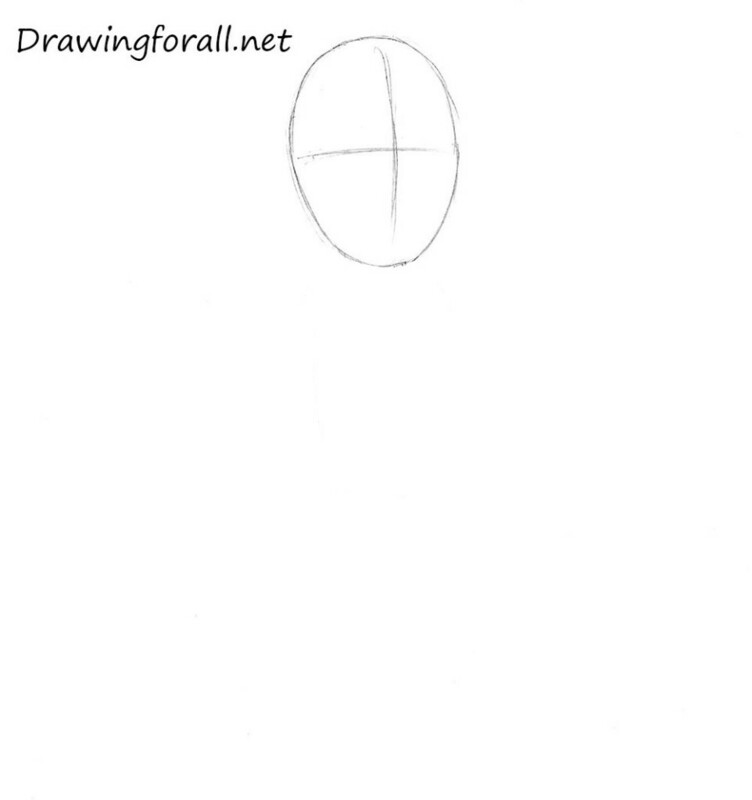 We hope you enjoyed this drawing lesson. Goodbye!